"Just Stand Up" was first published in this blog on October 18, 2013. 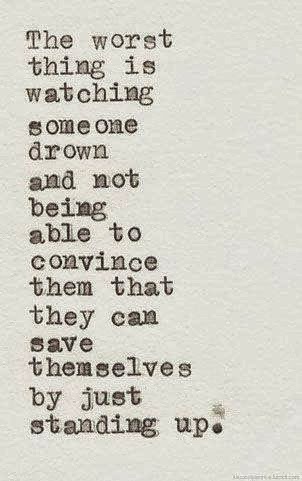 If you are drowning in your own life, please stand up. People need you.